Airtight Insulation has been insulating homes and business since 2004 serving customers in Michigan, Indiana, Ohio and Illinois. We offer our expertise in our closed cell spray foam installation. Today we would like to give you what we call, Closed Cell Spray Foam Insulation 101. You can also call us today at Airtight Insulation to learn more about closed cell spray foam insulation. Closed cell spray foam insulation is applied by spraying on residences and buildings during new construction or renovation. Closed cell spray foam insulation as insulation that will fill up wall cavities, crawl spaces, attics, and basements, with no spaces, or cavities open for air infiltration. Exterior walls can be filled with closed cell spray foam insulation for insulation providing more rigidness to the structure in protection from severe weather conditions and hazards. Closed cell spray foam insulation can help reduce your carbon foot print. It’s also soy-based, which offers a reduction in airborne noise and dust, making it a healthier choice for people who suffer from allergies, asthma or even chemical sensitivity. It’s what we at Airtight Insulation like to call healthy living! Closed cell spray foam also has a better resistance to water, making it a great choice. This type insulation offers superior permeability of water and lower water absorption. It fills cracks and crevices that could cause air and water infiltration. Closed cell spray foam insulation adds strength, rigidness, stiffness, and stability to the interior walls. Closed cell spray foam insulation because of the inherent stiffness and rigidness quality added to the overall structure makes it of the best types of insulation to use in homes and buildings subject to hazardous weather conditions. 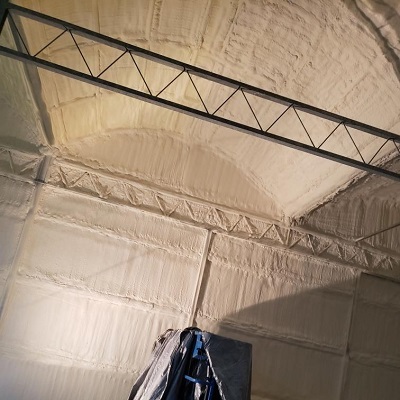 In houses and buildings subject to these types of weather conditions, the cost of closed cell spray foam insulation is outweighed by the added integrity of the structure. 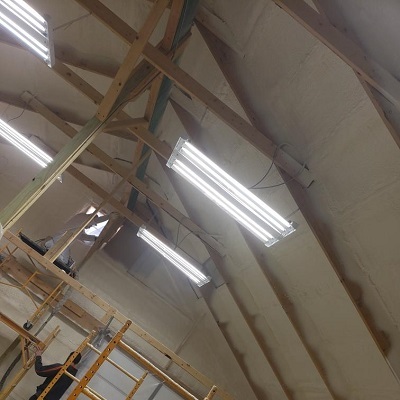 Closed cell spray foam insulation because of the superior insulation qualities, results in energy improvements to your residence or business, meaning lower utility costs. This type insulation benefits residences and buildings with less heat transfer, meaning lower heating costs because of the insulation's R valves. We appreciate you considering our business, Airtight Insulation, for your insulation needs. We hope the information we have given you today gives you the information you need to choose Airtight Insulation for your closed cell spray foam job. Of course, we know you have questions for us about closed cell spray foam insulation. That’s why we welcome any and all questions about insulation and closed cell spray foam insulation. We appreciate the opportunity to earn your business today for your closed cell spray foam insulation project. At Airtight Insulation, we understand the importance of having a certified, professional contractor on the job when it comes to your home and services. We want no less for your family than we do ours and hope to be able to help with your next closed cell spray foam project. Above all, we pride ourselves on providing the best insulation needs for your home or building, offering competitive quotes superior service for all your closed cell spray foam insulation needs.